The S&P 500 is already off more than 8%, which means the benchmark index has lost more than 1.7% per week on average for every full week of trading. If anything, it’s highly unlikely that markets will keep falling so quickly — at that pace, most of the stock market would evaporate by the end of the year. But any continued losses are unwelcome losses, so investors are rapidly fleeing to more risk-light assets. The problem is the 10-year Treasury yield now yields a mere 1.74%, and many traditional safe-haven stocks have actually enjoyed buying amid the downturn, helping to drive down their yields. Investors do have a few options for meaningful yield, though. The very downturn that has investors scurrying to find safe-havens has created a bevy of cheap dividend stocks to buy, most of which yield about two or three times the miserable yield on the 10-year. Pearson (NYSE:PSO) employs 40,876 people, generates revenue of $7,055.08 million and has a net income of $350.29 million. The current market capitalization stands at $8.77 billion. 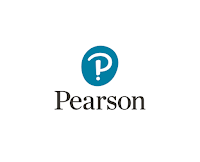 Pearson’s earnings before interest, taxes, depreciation and amortization (EBITDA) amounts to $1,385.25 million. The EBITDA margin is 19.63% (the operating margin is 8.17% and the net profit margin 4.97%). Financials: The total debt represents 19.52% of Pearson assets and the total debt in relation to the equity amounts to 37.21%. Due to the financial situation, a return on equity of 4.16% was realized by Pearson. Twelve trailing months earnings per share reached a value of $0.34. Last fiscal year, Pearson paid $0.74 in the form of dividends to shareholders. Market Valuation: Here are the price ratios of the company: The P/E ratio is 32.63, the P/S ratio is 1.21 and the P/B ratio is finally 0.98. The dividend yield amounts to 7.62%. Potash (NYSE:POT) employs 5,136 people, generates revenue of $7,115.00 million and has a net income of $1,536.00 million. The current market capitalization stands at $13.21 billion. Potash’s earnings before interest, taxes, depreciation and amortization (EBITDA) amounts to $2,876.00 million. The EBITDA margin is 40.42% (the operating margin is 33.00% and the net profit margin 21.59%). Financials: The total debt represents 23.95% of Potash assets and the total debt in relation to the equity amounts to 48.28%. Due to the financial situation, a return on equity of 16.68% was realized by Potash. Twelve trailing months earnings per share reached a value of $1.76. Last fiscal year, Potash paid $1.40 in the form of dividends to shareholders. Market Valuation: Here are the price ratios of the company: The P/E ratio is 8.74, the P/S ratio is 1.84 and the P/B ratio is finally 1.48. The dividend yield amounts to 6.39%. Huntsman (NYSE:HUN) employs 16,000 people, generates revenue of $10,299.00 million and has a net income of $130.00 million. The current market capitalization stands at $2.10 billion. Huntsman’s earnings before interest, taxes, depreciation and amortization (EBITDA) amounts to $1,106.00 million. The EBITDA margin is 10.74% (the operating margin is 3.63% and the net profit margin 1.26%). Financials: The total debt represents 48.83% of Huntsman assets and the total debt in relation to the equity amounts to 294.35%. Due to the financial situation, a return on equity of 5.42% was realized by Huntsman. Twelve trailing months earnings per share reached a value of $0.39. Last fiscal year, Huntsman paid $0.50 in the form of dividends to shareholders. Market Valuation: Here are the price ratios of the company: The P/E ratio is 22.38, the P/S ratio is 0.19 and the P/B ratio is finally 1.21. The dividend yield amounts to 6.18%. Credit Suisse Group (NYSE:CS) employs 48,100 people, generates revenue of $19,593.96 million and has a net income of $2,284.13 million. The current market capitalization stands at $25.14 billion. Credit Suisse Group’s earnings before interest, taxes, depreciation and amortization (EBITDA) amounts to $15,662.01 million. The EBITDA margin is 60.79% (the operating margin is 14.47% and the net profit margin 8.86%). Financials: The total debt represents 23.79% of Credit Suisse Group assets and the total debt in relation to the equity amounts to 498.66%. Due to the financial situation, a return on equity of 3.81% was realized by Credit Suisse Group. Twelve trailing months earnings per share reached a value of $2.08. Last fiscal year, Credit Suisse Group paid $0.78 in the form of dividends to shareholders. Market Valuation: Here are the price ratios of the company: The P/E ratio is 6.65, the P/S ratio is 0.96 and the P/B ratio is finally 0.46. The dividend yield amounts to 5.89%. Staples (NASDAQ:SPLS) employs 44,400 people, generates revenue of $22,492.36 million and has a net income of $134.53 million. The current market capitalization stands at $5.21 billion. Staples’s earnings before interest, taxes, depreciation and amortization (EBITDA) amounts to $1,389.78 million. The EBITDA margin is 6.18% (the operating margin is 1.38% and the net profit margin 0.60%). Financials: The total debt represents 10.77% of Staples assets and the total debt in relation to the equity amounts to 20.92%. Due to the financial situation, a return on equity of 2.35% was realized by Staples. Twelve trailing months earnings per share reached a value of $0.05. Last fiscal year, Staples paid $0.48 in the form of dividends to shareholders. Market Valuation: Here are the price ratios of the company: The P/E ratio is 183.10, the P/S ratio is 0.23 and the P/B ratio is finally 0.99. The dividend yield amounts to 5.86%. UBS Group (NYSE:UBS) employs 60,099 people, generates revenue of $13,562.91 million and has a net income of $3,742.80 million. The current market capitalization stands at $55.98 billion. UBS Group’s earnings before interest, taxes, depreciation and amortization (EBITDA) amounts to $14,291.74 million. The EBITDA margin is 49.47% (the operating margin is 8.76% and the net profit margin 12.95%). Financials: The total debt represents 17.77% of UBS Group assets and the total debt in relation to the equity amounts to 373.09%. Due to the financial situation, a return on equity of 7.03% was realized by UBS Group. Twelve trailing months earnings per share reached a value of $1.68. Last fiscal year, UBS Group paid $0.51 in the form of dividends to shareholders. Market Valuation: Here are the price ratios of the company: The P/E ratio is 8.99, the P/S ratio is 1.89 and the P/B ratio is finally 1.05. The dividend yield amounts to 5.85%. HP (NYSE:HPQ) employs 287,000 people, generates revenue of $103,355.00 million and has a net income of $4,554.00 million. The current market capitalization stands at $16.39 billion. Market Valuation: Here are the price ratios of the company: The P/E ratio is 3.80, the P/S ratio is 0.16 and the P/B ratio is finally 0.59. The dividend yield amounts to 5.50%. Ford Motor Company (NYSE:F) employs 187,000 people, generates revenue of $144,077.00 million and has a net income of $3,186.00 million. The current market capitalization stands at $45.13 billion. Ford Motor Company’s earnings before interest, taxes, depreciation and amortization (EBITDA) amounts to $8,516.00 million. The EBITDA margin is 5.91% (the operating margin is 2.30% and the net profit margin 2.21%). Financials: The total debt represents 57.15% of Ford Motor Company assets and the total debt in relation to the equity amounts to 480.43%. Due to the financial situation, a return on equity of 12.52% was realized by Ford Motor Company. Twelve trailing months earnings per share reached a value of $1.19. Last fiscal year, Ford Motor Company paid $0.50 in the form of dividends to shareholders. Market Valuation: Here are the price ratios of the company: The P/E ratio is 9.68, the P/S ratio is 0.31 and the P/B ratio is finally 1.81. The dividend yield amounts to 5.37%. Fifth Third Bancorp (NASDAQ:FITB) employs 18,351 people, generates revenue of $4,028.00 million and has a net income of $1,706.00 million. The current market capitalization stands at $11.10 billion. Fifth Third Bancorp’s earnings before interest, taxes, depreciation and amortization (EBITDA) amounts to $ million. The EBITDA margin is % (the operating margin is 36.18% and the net profit margin 26.10%). Financials: The total debt represents 12.41% of Fifth Third Bancorp assets and the total debt in relation to the equity amounts to 110.50%. Due to the financial situation, a return on equity of 11.37% was realized by Fifth Third Bancorp. Twelve trailing months earnings per share reached a value of $2.05. Last fiscal year, Fifth Third Bancorp paid $0.52 in the form of dividends to shareholders. Market Valuation: Here are the price ratios of the company: The P/E ratio is 7.25, the P/S ratio is 1.67 and the P/B ratio is finally 0.75. The dividend yield amounts to 3.73%. Xerox (NYSE:XRX) employs 140,800 people, generates revenue of $18,045.00 million and has a net income of $435.00 million. The current market capitalization stands at $8.69 billion. Xerox’s earnings before interest, taxes, depreciation and amortization (EBITDA) amounts to $2,021.00 million. The EBITDA margin is 11.20% (the operating margin is 3.57% and the net profit margin 2.41%). Financials: The total debt represents 29.70% of Xerox assets and the total debt in relation to the equity amounts to 78.07%. Due to the financial situation, a return on equity of 5.34% was realized by Xerox. Twelve trailing months earnings per share reached a value of $0.49. Last fiscal year, Xerox paid $0.28 in the form of dividends to shareholders. Market Valuation: Here are the price ratios of the company: The P/E ratio is 17.75, the P/S ratio is 0.49 and the P/B ratio is finally 0.97. The dividend yield amounts to 3.57%.